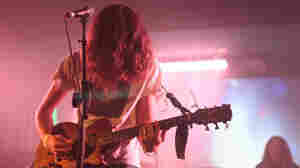 All Tomorrow's Parties Photos and concert downloads from the weekend's Asbury Park music festival curated by Portishead. 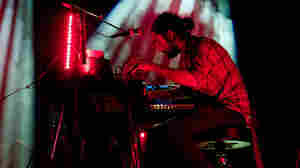 The Album Leaf performs at the Paramount Theatre for the 2011 All Tomorrow's Parties music festival. 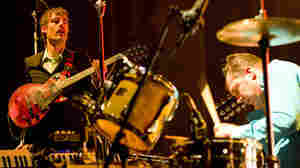 October 5, 2011  The Album Leaf filled the Paramount Theatre with post-rock influenced by jazz and classical music. 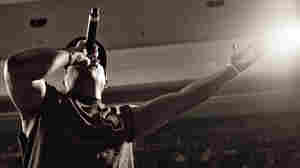 October 5, 2011  Public Enemy put on a killer set, centered on songs from its classic album Fear of a Black Planet. 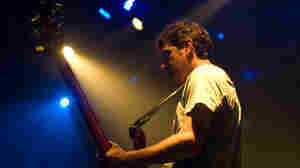 Battles plays the Convention Hall on Saturday night. 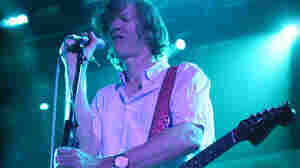 October 4, 2011  Sparklingly technical and mind-numbingly joyful, Battles performed at All Tomorrow's Parties. 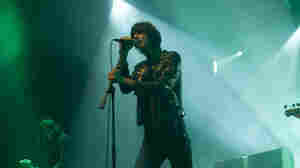 The Horrors at Convention Hall in Asbury Park, N.J., on Saturday. 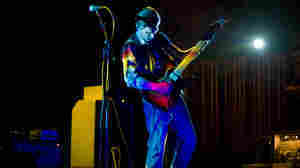 October 5, 2011  At Convention Hall, the Goth-tinged post-punk band came off like U2: bold, shimmering and confident. Thinking Fellers Union Local 282 plays Asbury Lanes on Friday night. October 5, 2011  The arty-but-not-smarty rock band incited what was definitely the rowdiest crowd all weekend. Members of Chavez join Oneida during the performance of The Ocropolis III. October 7, 2011  Members of Portishead, Boredoms, Guardian Alien and more participated in this marathon performance. 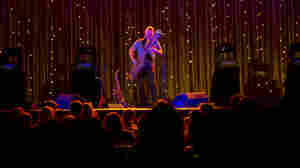 Colin Stetson plays the Paramount Theatre on Saturday afternoon. 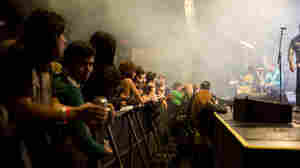 October 4, 2011  The saxophonist's swarming textures filled the Paramount Theatre for the Portishead-curated bill. 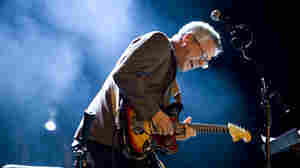 October 5, 2011  The instrumental quartet gave a stirring, meditative performance at All Tomorrow's Parties. 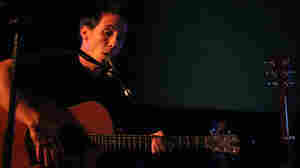 Chavez performs at the Convention Hall on Friday night. 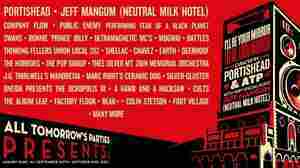 October 4, 2011  The indie rock veterans helped open this year's All Tomorrow's Parties festival in Asbury Park, N.J. Listen to the entire set right here. 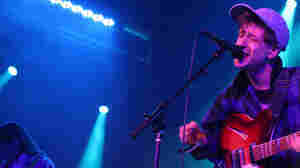 Swans at the Paramount Theatre for All Tomorrow's Parties. 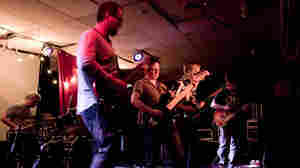 October 5, 2011  In a two-hour set, the relentless and masculine noise-rock band was absolutely Wagner-ian in scope. Audio taken down by request of the band. September 10, 2010  Hear a full set of the band's best-loved early material, with nothing beyond Daydream Nation, recorded live at All Tomorrow's Parties last weekend. The result is rock catharsis. September 14, 2010  The Austin post-rock band curated All Tomorrow's Parties in 2008. 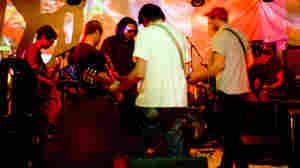 Now it's returned to perform at the music festival's 10th-anniversary party. 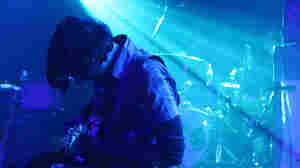 Listen to the band's epic set here. September 10, 2010  Scavenging voice machine tapes, speech records, and other found sound from thrift stores, Nick Zammuto and Paul de Jong manipulate unusual sources in wistful and humorous music. Hear them in concert. September 13, 2010  The indie-rock duo had one of the biggest songs of 2009 in "Lust for Life." 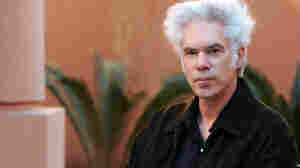 Director Jim Jarmusch liked the song so much, he chose Girls to perform at this year's All Tomorrow's Parties festival. Fans at Convention Hall in Asbury Park, N.J.
October 4, 2011  ATP looked to sounds both new and renewed with Portishead, Swans and an eight-hour improvisation. 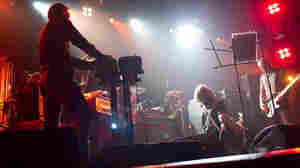 October 2, 2011  Who would've ever possibly thought that Beth Gibbons from Portishead would stage dive? October 1, 2011  Honestly, where else could you bowl and watch a band — or watch a band while others bowl?